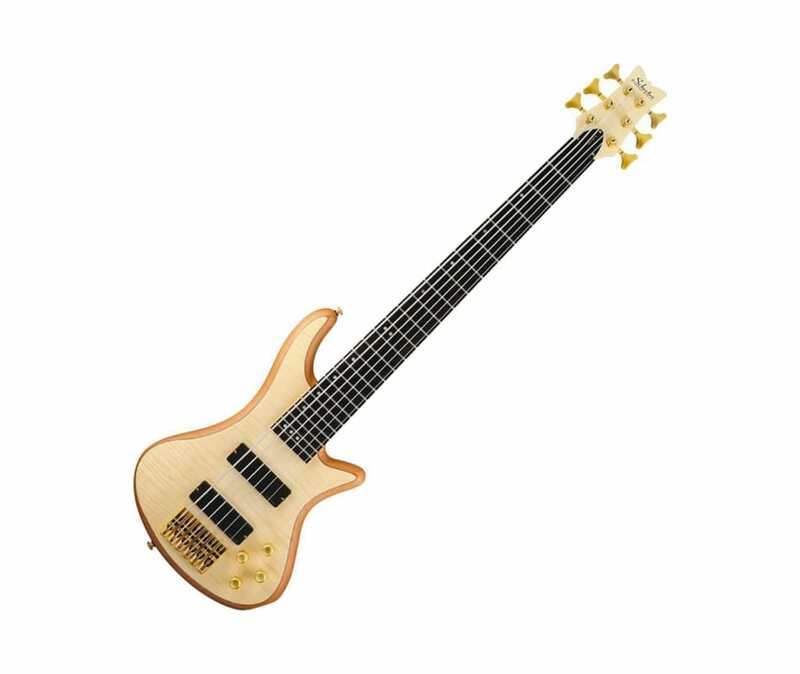 Schecter's Stiletto Custom 6 bass guitar offers extended 6 string range combined with great playability and tone. Features a mahogany body and striking figured maple top. The amazing bass features EMG HZ pickups along with volume and blend controls with active 2 band EQ.